Thunder Lotus Games has announced that Sundered: Eldritch Edition will release on Nintendo Switch, a chaotic hand-drawn action-adventure game where you may choose to resist or embrace ancient eldritch powers. You must confront hordes of terrifying enemies in an ever-changing world that takes inspiration from the works of H.P. Lovecraft, and this definitive version includes the Magnate of the Gong update. That adds local co-op multiplayer support for up to four players, as well as a special quest chain through new areas and a chaotic battle against the new Magnate of the Gong boss. “We really wanted to bring something special to the table for the launch on the new consoles,” explains Thunder Lotus Games president Will Dubé. 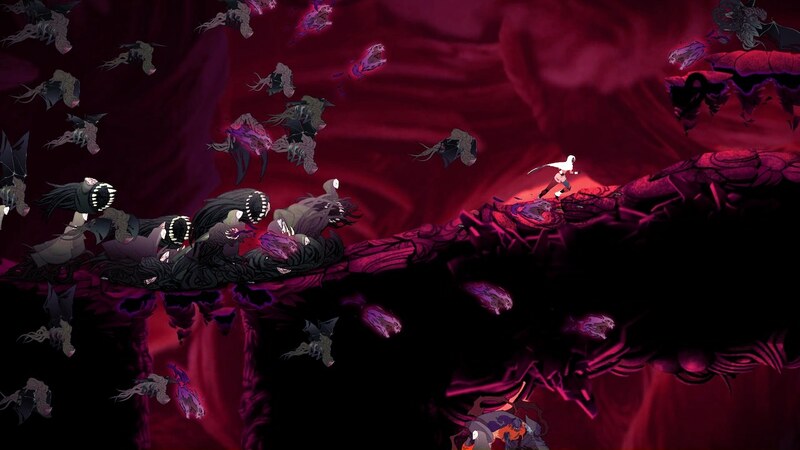 Sundered: Eldritch Edition will release on the Nintendo eShop for Nintendo Switch worldwide on December 21st priced at $19.99.